When most people think about Mount Shasta, the usual image that comes to mind is the towering, ice clad mountain rising high above vast conifer forests. This certainly is the classic perspective on the mountain and deservedly so. 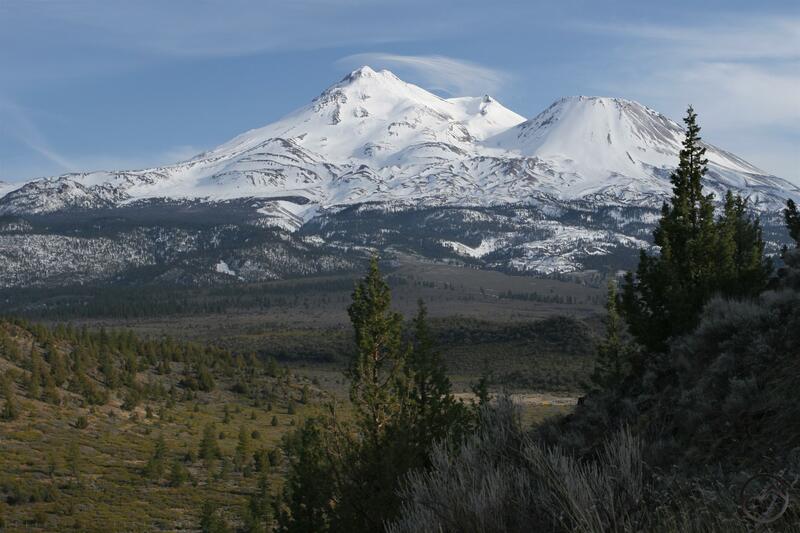 Yet, just to the north of Mount Shasta lies the large Shasta Valley, an arid land strikingly unlike the alpine areas to the south. Since the preponderance of the storms that pass through this area come from the south, the mountain strains the moisture out of the passing clouds, leaving little precipitation to fall in the areas further north. This phenomenon is known as a rainshadow. Rather than a shadow being cast by light being obstructed, precipitation is obstructed in a similar fashion. This is why the areas immediately east of the Sierra Nevada and the Cascade Range are deserts. Though aridity may not be something we would normally consider a blessing, for those of us in the Mount Shasta area it is a great asset. Not only does the high desert of the Shasta Valley mean we have a significantly more diverse landscape to explore, it also means that sunshine and great winter hiking is not far away. Though the trails in this area are few, they can be enjoyed all year and there is also room for lots of off trail exploration. An additional feature is the absolutely spectacular views of Mount Shasta that can be found from nearly every corner of the Shasta Valley. The snowy peak rising suddenly from sage and juniper covered hills is an unforgettable sight and one not to be missed. The high desert may be an underappreciated landscape, but it is one deserving of more attention and a boon to those who explore it. Mount Shasta from the Haystack.